What are the Best Practices of Inbound Marketing? If you’ve been following my blogs, you would now be aware of the growing importance of inbound marketing and how it is helping millions of Marketing Samurais globally to attract and engage with their audience. For those who are considering to adopt inbound methodology or are newbies to the concept right now, let us simplify your lives a bit :) We have compiled a list of 5 best practices in inbound marketing, you must adopt RIGHT NOW! Your buyer persona is the epicenter of your inbound marketing strategy & campaign, so they better be good! The success of your inbound marketing campaign relies heavily on your understanding of the buyer personas. You have to identify your ideal buyer and know them inside out- their habits, goals, demographics, pain points & more. 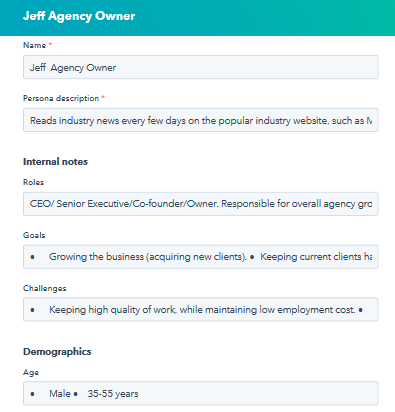 This semi-fictional representation of your ideal buyer can be developed by talking to your actual customers, reviewing their social media profiles, understanding purchase patterns by interaction. Try to understand , what exactly the buyer wants to achieve.Only when you have a clear understanding of your buyer persona, you will be able to create and execute a targeted inbound campaign to offer a tailor-made solution to their problems. Read this stat: Content marketing generates three times as many leads as traditional outbound marketing but costs 62% less. – DemandMetric. Read more interesting facts about content here. a) Educational - Don’t educate your buyers about who you are but educate them about their problems and how you can offer solutions to those problems. b) Build trust - Ensure to build a long-lasting mutually rewarding relationship with your audience by offering helpful content as per the stage of your buyer’s journey. c) Help your prospects make smart and well-informed purchase decisions - Remember to offer valuable content so that it is helpful to your audience, thus, engaging them further into the inbound funnel. Action-oriented CTAs on web site and landing pages. Making websites mobile and tablet friendly. Creating forms so they ask relevant questions. Optimizing websites with relevant keywords and content to encourage action and educate buyers. According to a recent study by Aberdeen group- Companies with a strong marketing & sales alignment get 20% annual revenue growth. It is important to create a fine blend of your sales and marketing teams to achieve your business objectives. And by fine blend, we mean that both the teams should have complete understanding and mutually agree with the SMART business goals & the strategies to achieve them along with identification and monitoring of key performance metrics. 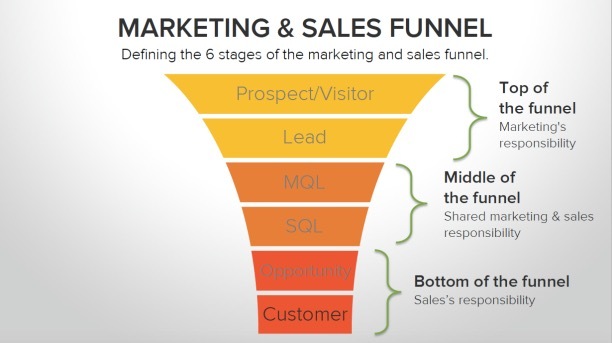 Check below infographic for the stages of sales and marketing funnel. Read about the benefits of aligning sales and marketing. Carefully monitor and analyze your marketing and CRM software for all the data and trends related to lead generation and conversion. With Hubspot, you can track each inbound activity and study the outcome and ROI associated with it. Depending on what’s working best for you, take actions to improve or if required, change your strategy. This will guide you for preparing an action plan to achieve your inbound goals. The best results from an inbound marketing campaign will be achieved by a complete inbound strategy- from creating interesting blogs, keyword research and optimizing to finally paid advertising. However, to kickstart your inbound marketing campaigns, you can use the above 5 best practices to see desirable results! Going the inbound way but don't know where to begin? Call us now for an obligation-free discussion!